Twelve-year-old Florida hopes to become a nurse one day. 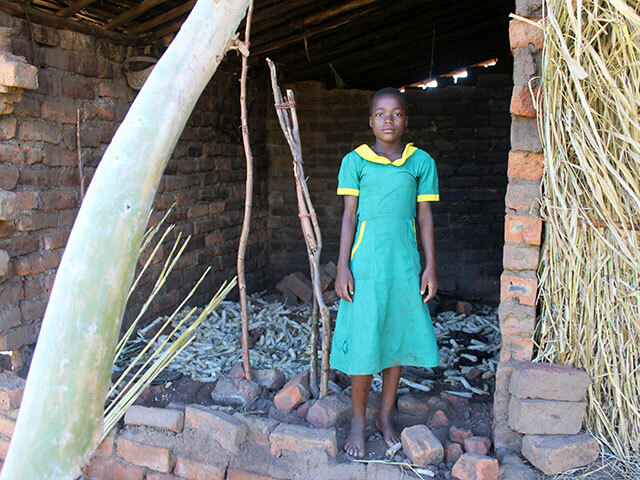 She came top in her class last term but now her future hangs in the balance, after floods in the wake of Cyclone Idai crashed into her village in Malawi last month, destroying everything in their path. More than 800,000 people in Malawi have been affected by Cyclone Idai, and more than 80,000 people – like Florida – have been displaced from their homes. Florida’s life has been turned upside down since the cyclone, especially at school. She lost her most prized assets: her exercise books. “My parents haven’t been able to buy me new books, so I am using borrowed ones. I lost my class notes and some of my clothes as well,” says Florida who is now sleeping in a friend’s sitting room with the rest of her family. Many schools were either destroyed or are being used as shelters for families who lost their homes. It is not known when classes will resume for thousands of children – some, particularly girls, may never return to the classroom. With the generous support of Canadians and the Government of Canada, Humanitarian Coalition member Plan International is working to assist people in Malawi affected by Cyclone Idai – like Florida and her family – with water and sanitation supplies, building materials and other essential aid. Your support can make a difference in helping survivors to get back to normal – and until April 14, your donation will go twice as far with a match from the Government of Canada.